ADULT VOLUNTEERS to assist the youth volunteers and the registrants with the registration process and at PIT ROW. 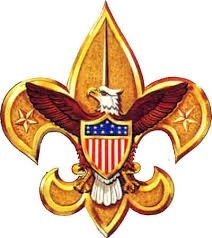 All Scoutmasters: Do any of your Scouts need Service Hours? SERVICE HOURS: SEVERAL VOLUNTEER Boy Scouts and Crew Members are needed to assist the MC, the judges, registration, awards, and monitoring and placement of the cars on the race tables. 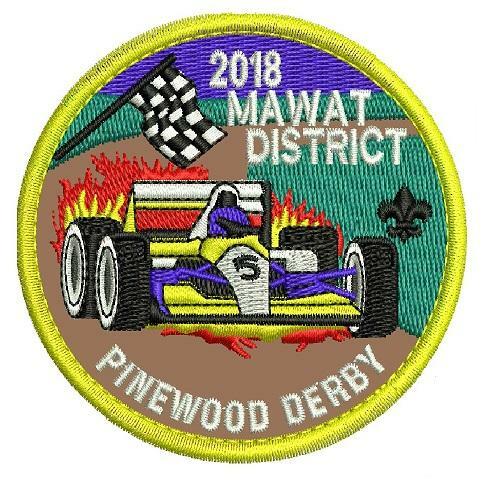 All Cubmasters: Please ensure that each of your Scouts, Parents, and Leaders receive a copy of these Derby Rules, Derby Procedures, and the Car Diagram/Specifications. Volunteering at this event is recognized by Journey to Excellence. The Committee will provide a letter of service upon request. PLEASE CONTACT JACK EDINGER AT j.edinger3@gmail.com TO VOLUNTEER. Judging categories for the District Derby are: FASTEST CAR, MOST BEAUTIFUL CAR, and MOST ORIGINAL CAR. Most BEAUTIFUL CAR will be judged on CRAFTSMANSHIP / WORKMANSHIP. Most ORIGINAL CAR will be judged on UNIQUE DESIGN. An ORIGINAL car does not have to look like a car! It can be anything you can imagine! EACH ENTRANT may enter only ONE CATEGORY in the District Pinewood Derby. Any car which does not meet the District Pinewood Derby Rules and car specifications will not be allowed to compete. Up to three (3) Tiger Cubs from each Pack will be able to enter the Fastest Car category. Eight (8) Tiger Cubs from each Pack are invited to enter their cars in the Most Beautiful category AND eight (8) Tiger Cubs in the Most Original category. The Cubmaster must certify their Tigers racing in the Fastest Car category. No more than three (3) Wolf, Bear, and/or Webelos scouts from each Pack may be entered in the FASTEST CAR category; up to eight (8) Wolf, Bear, Webelos entries per Pack for the Most Beautiful; and up to eight (8) Wolf, Bear, Webelos entries per Pack in Most Original. in the Fastest Car, Most Beautiful, and Most Original Category. 2 Family Racers may enter 1 car each in the FASTEST CAR category. 8 Cub Scouts may enter 1 car each in the Most Beautiful Category. 8 Cub Scouts may enter 1 car each in the Most Original Category. Each Pack may certify for competition two (2) Family Racers to compete ONLY in the FASTEST CAR category in the District Pinewood Derby. These participants will compete in a separate special Family Race. These participants may be anyone associated with the pack, example: a Lion Cub, sibling, den chief, leader, parent, etc. Registration will begin at 9:00am and end at 10:30am. Judging for Most Beautiful and Most Original for Tigers will start at 10:30am. Judging for Most Beautiful and Most Original for Wolf, Bear, and Webelos will start at 11:00am. FIRST RACE: Tiger Fastest Car Races to begin at 11:00am. Tiger awards will follow the race. SECOND RACE: Wolf, Bear, and/or Webelos Fastest Car racing to begin at 12:00pm. Awards will follow. THIRD RACE: Family Entries for Fastest Car will race, once all other entrants have completed racing. REMEMBER: A completed and signed Certification and Registration form will be needed for each participating Tiger, Wolf, Bear, and Webelos Scout, and the two Family Racers as designated by each Pack. Each participant and adult helper must sign the center part of the form. The Cubmaster Certification must be completed and signed by the Cubmaster. Both parts of this form must be completed in order to register a car at the District Pinewood Derby. Please emphasize to your Pack families that while the main purpose of the Pinewood Derby competition is FUN for the boys and their families, it is also a rule-driven event to ensure that everything is fair. Please remember that the Pinewood Derby is NOT an adult engineering competition. Use the best equipment you can to determine weight and size. Make sure that the wheels and axles are official BSA parts and that the proper lubrication (graphite only, no oil) is used. Make sure that the paperwork is completed on each car before it comes to the District Pinewood Derby.